Blood-brain barrier (BBB) damage is a characteristic feature of diabetes mellitus pathology and plays significant roles in diabetes-associated neurological disorders. However, effective treatments for diabetes targeting BBB damage are yet to be developed. Fibroblast growth factor 21 (FGF21) is a potent regulator of lipid and glucose metabolism. In this study, we tested the hypothesis that recombinant FGF21 (rFGF21) administration may reduce type 2 diabetes (T2D)-induced BBB disruption via NF-E2-related factor-2 (Nrf2) upregulation. Our experimental results show that rFGF21 treatment significantly ameliorated BBB permeability and preserved junction protein expression in db/db mice in vivo. 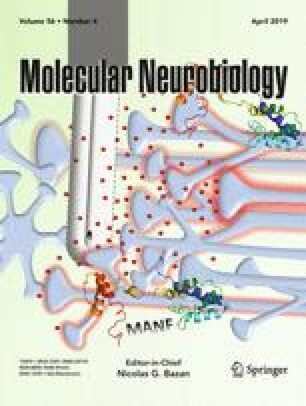 This protective effect was further confirmed by ameliorated transendothelial permeability and junction protein loss by rFGF21 under hyperglycemia and IL1β (HG-IL1β) condition in cultured human brain microvascular endothelial cells (HBMEC) in vitro. We further reveal that rFGF21 can activate FGF receptor 1 (FGFR1) that increases its binding with Kelch ECH-associating protein 1 (Keap1), a repressor of Nrf2, thereby reducing Keap1-Nrf2 interaction leading to Nrf2 release. These data suggest that rFGF21 administration may decrease T2D-induced BBB permeability, at least in part via FGFR1-Keap1-Nrf2 activation pathway. This study may provide an impetus for development of therapeutics targeting BBB damage in diabetes. The online version of this article ( https://doi.org/10.1007/s12035-018-1234-2) contains supplementary material, which is available to authorized users. Z.Y, L.L, I.C, and Y.J performed the study and analyzed the data. Z.Y and XY.W designed the experiment, analyzed the data, and wrote to the paper. X.L, XJ.W, and E.H.L helped in data analysis and paper writing. All authors have read and approved the manuscript. This study was in part supported by the AHA Scientist Development Grant 15SDG25550035 (Yu Z), and National Institute of Health (NIH) 5R01NS099539 (Wang X). The authors declare no competing financial interests in the manuscript. All animal experiments were performed following protocols approved by the Massachusetts General Hospital Animal Care and Use Committee in compliance with the National Institutes of Health Guide for the Care and Use of Laboratory Animals.